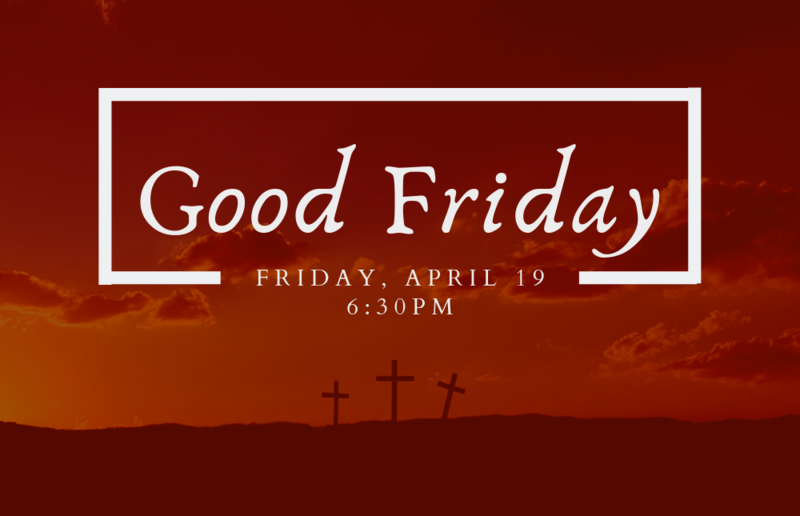 We invite you to join us this Sunday! Click a link below to learn more about us. Explore more about CC, what it means to become a member and get connected in a Community Group. biblical teaching, and holistic mission. We’re busy people - often isolated and disconnected from meaningful relationships with others. And too often, forgetful about what’s most important in life. There is Good News. And the Good News of Jesus reshapes our lives as we embrace it and apply it - in meaningful community. Our family of faith is not perfect - we are all in process - but we believe that your inclusion in our family will be spiritually formative for you, and for us. 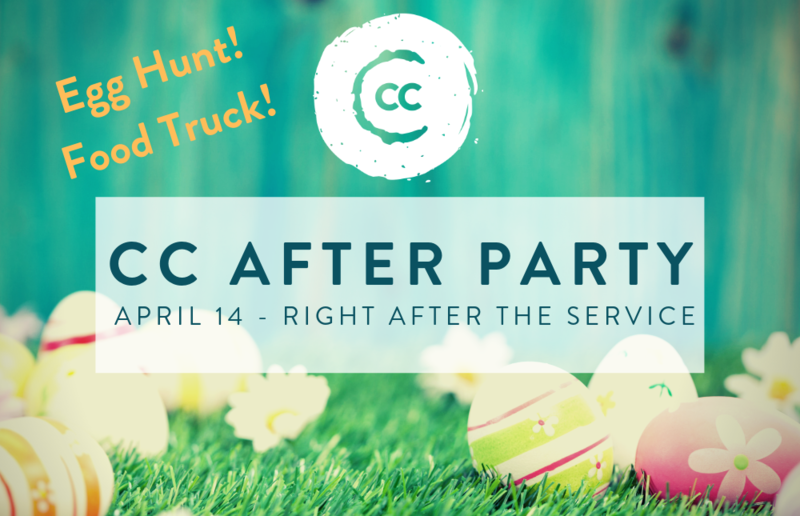 Join us THIS Sunday, April 14th for the CC After Party. 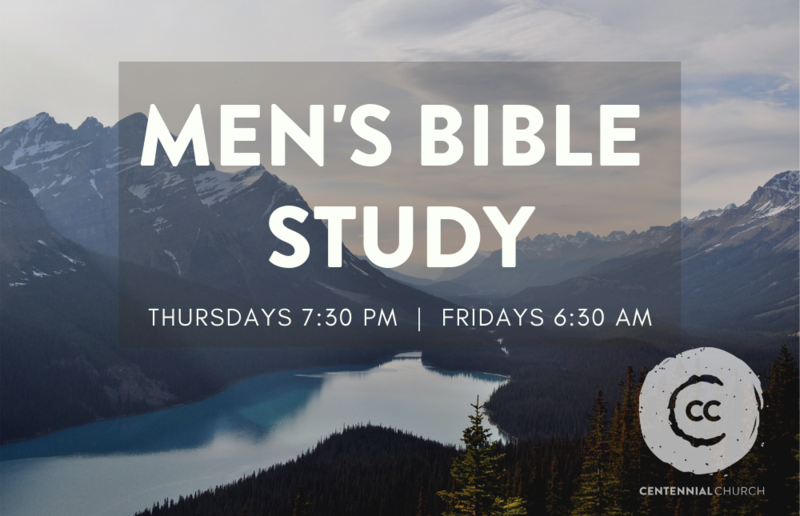 Join us for our weekly Men's Bible Study, Thursdays @ 7:30pm or Friday mornings @ 6:30am. Our Men's morning study meets on Fridays at 6:30am at the church. Gather with us Sundays at 9:00am in the office building conference room for study and fellowship.